Excellent! Does the tracking include e-books? – because that’s how we buy all our s-f these days. You’re welcome. I enjoyed it a lot!!! I think you made a mental typo. You wrote that the predecessor of The Consuming Fire was The Consuming fire. I just finished the audiobook yesterday and as usual, Will Wheaton is great! 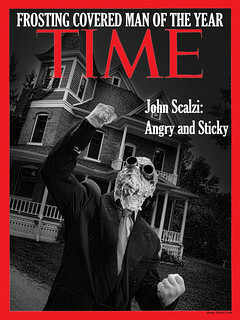 Oh, you too, Scalzi, you too. Read it; loved it. 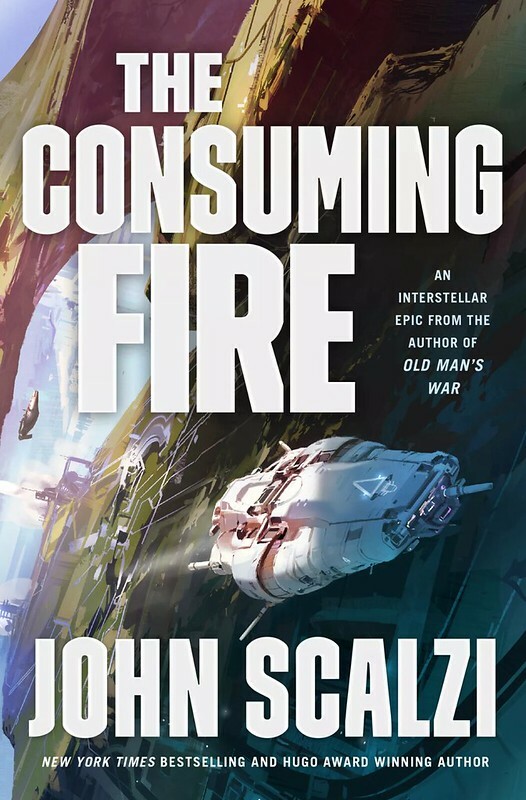 And … once again, I’m waiting for Scalzi to finish his next book. 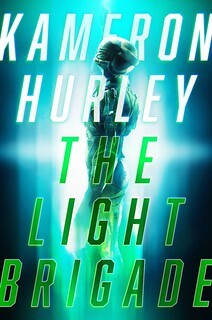 I just finished the audiobook and it was one hell of a ride. Great story, great characters, great cursing (always a plus). I eagerly await the next novel. Chop, chop. Congrats! no hurry up and finish the third book! I feel I need to mention how much I like Wil Wheaton as a narrator. (I first listened to him in “Lock In.”) He’s very good at giving characters each a distinctive voice. He doesn’t do what an annoyingly high number of male narrators do – use a fake “girly” voice for female characters. That’s like nails on a chalkboard for me. He changes intonation and cadence for each character, and it’s easy even when starting in the middle to discern which character is speaking. I finished reading reading rhe e-book last night. I would have finished sooner, but I’m already having trouble getting enough sleep, I loved it! I agree that it was better than the first book, but not a lot better, since the first was a great book too. The best thing, as always, is your characters. They are real people, behaving much like anyone would if they had that much power. Still reading it but I’m enjoying it so far! Just finished the audible book on Tuesday. To be honest, in the beginning I was afraid that Will’s voice would be a distraction just because I found it so familiar. It didn’t take long before I realized I couldn’t have been more wrong. Excellent book and excellent narration by Will. And the signed copy I got at your event in LA is up on my bookshelf! Congrats on the well-deserved success. Congratulations, John! I think you’re at a point where almost any novel you write is going to end up on the bestseller list — people are buying your books just because you wrote them, with no other criterion necessary. At least, that’s how it’s working for me! Yay, my purchase of your book last week contributed to the greater good. Here’s hoping my vote in a week or so will be similarly successful. John, I bought the Kindle edition and really enjoyed it. Great pacing – it’s like you just skipped all the boring parts. Congrats and keep up the good work. Congratulations! Glad to have contributed to those first-week sales – it is the least I can do in return for such excellent entertainment. Thank you, sir, for doing what you do so very well! I thought I was special, reading your book in the first few days, but alas, it looks like I am just following the herd again. Oh well, I guess a congrats are in order for one of my favorite super popular niche authors. I finished both the audiobook and the ebook in record time…there is a book sized void in my soul. Congratulations, they really were fantastic!! My budget is far too tight now to purchase books, alas, but I did borrow it from the library the day it came out. Which (along with others who checked it out, and those who have put hold requests on the book, etc.) will encourage the libraries to keep buying your books, and even occasionally multiple copies thereof. Do library books contribute to best seller lists? It just occurred to me to wonder this, since they may be buying it through channels that might not be counted. And when my budget improves, I will be buying the ebooks of the series. Just received my pre-ordered copy (signed – thank you very much!) and didn’t want to travel with it so I downloaded the e-book to my iPad last night. Kinda geeky. Hubby just laughs. I get the feeling that most of the action of the third book will happen on End (of all things places); looking forward to it! On a side note, could you be more careful with occurrences and alternations of “X said” / “Y said”? It makes dialogue kinda repetitive. Maybe “replied”, “remarked”, “noted”, “wondered” etc. would be more appropriate in some cases.